Tabi Gazele is a new artist letting you know she has arrived with her powerful new single, Hurricane. After relocating from Australia to the UK, Nigerian-Australian Tabi Gazele has taken leaps and bounds in her musical journey, including hitting over 2 million combined streams with 2 track features (Devil On My Shoulder and Soul Glo with Lee Fields) on multi-platinum Australian hip-hop group Bliss n Eso’s 6th Studio Album ‘Off The Grid”, a remix of her cover single “Touch Somebody” by the UK’s G.A (Kojo Funds), a Grand Finalist position on BBC1’s All Together Now show and most recently having the radio premiere of her debut original single, Hurricane on BBC Music Introducing. 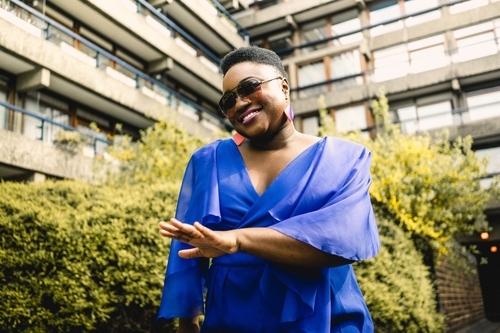 With the Jack Gourlay produced Hurricane compared to the pop hits of Emeli Sande by BBC Music Introducing, it’s clear that this is only the beginning for Tabi Gazele, whose hypnotic melodies and joyful yet thought-provoking lyrics see her set to make her mark on the music landscape.